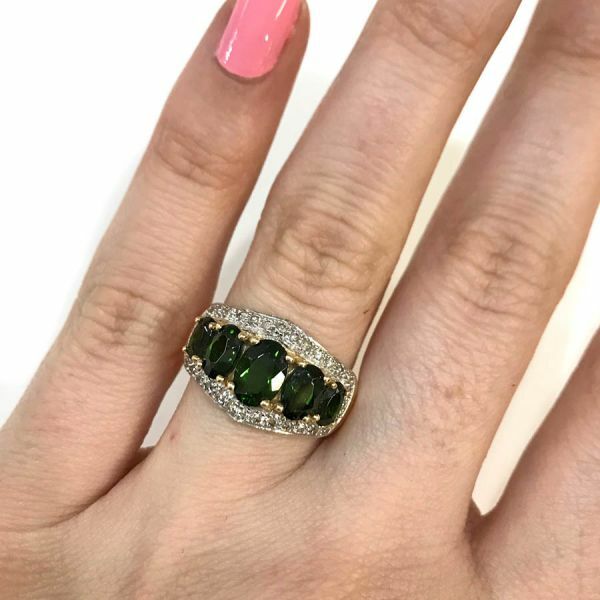 A stunning modern 14kt yellow gold and rhodium plated ring, featuring 5 oval facetted cut deep intense green diopsides, est. 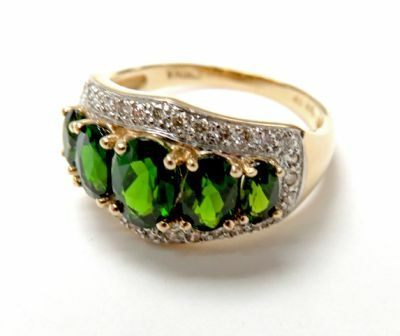 2.31ct and 32 round brilliant cut diamonds, est. 0.27ct (clarity SI & J-K colour).